Could you explain this one perhaps. I looked at it a couple of times but honestly couldn't find the irony in it. 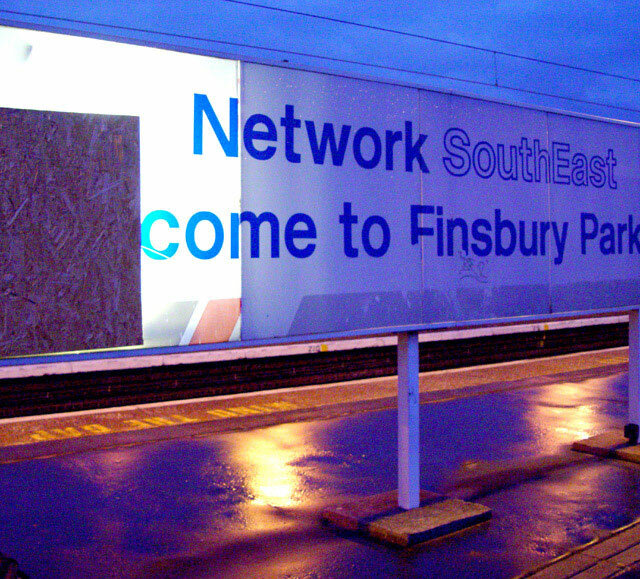 The sign said Welcome to Finsbury Park (a notoriously grim area of London) but most of the lights inside are broken, its covered in grafitti, its raining, dark, cold and miserable. Plenty of people said they didn't understand. It must be me. Nice subtle irony. Very good. Good lighting, I like the Irony. ???? I don't get it. And it really doesn't have an overall appeal because the lighting on the sign, maybe that's part of the irony? I have a feeling this is a regional bit of irony. I like the light/colour on the pavement. Proudly hosted by Sargasso Networks. Current Server Time: 04/19/2019 04:17:25 PM EDT.